Shaq Daddy. Shaq Fu. The Diesel. The Big Aristotle. The Big Shaqtus. Whatever you want to call him, Shaquille O’Neal was at times an unstoppable force. Because he plowed his team’s course to the Finals six times. And he took his share of scrubs along with him (looking at you, Slava Medvedenko). 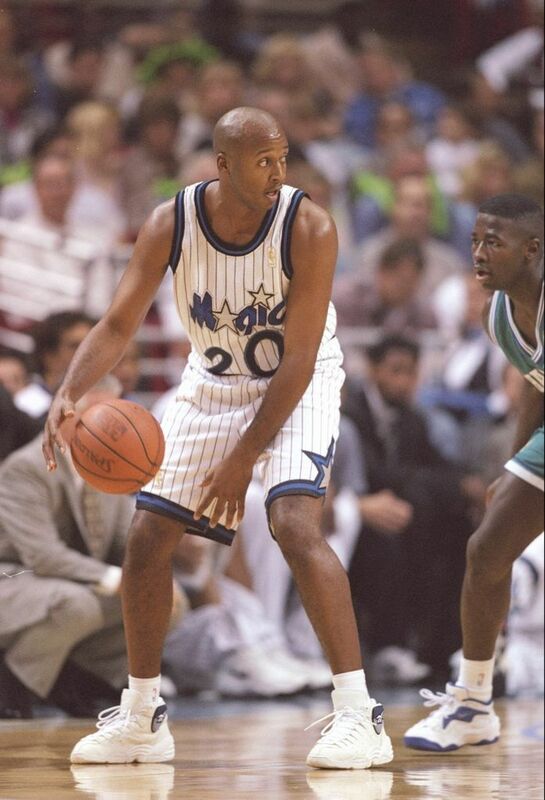 But fortunately for Shaq, he also had his share of stars, including several Hall of Famers, to feed him down low. 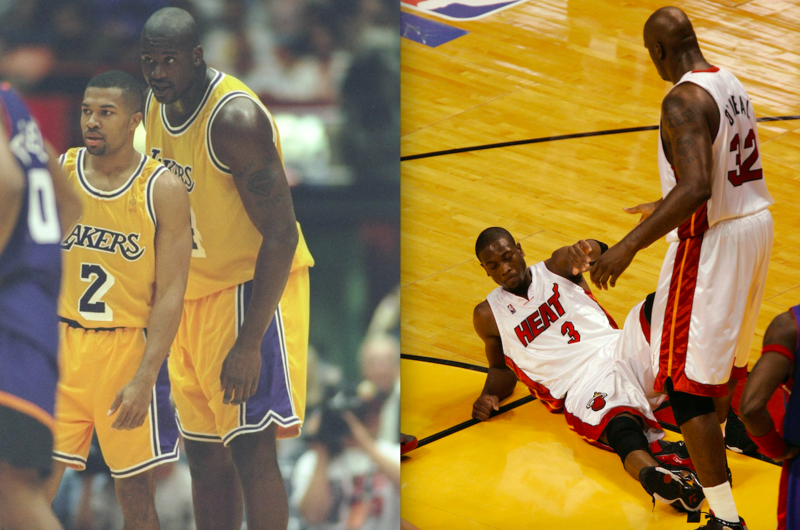 So check out our rankings of Shaq’s best NBA Finals teammates. And then compare the collection to our lists of the best Finals teammates of Kobe Bryant, Michael Jordan and LeBron James. 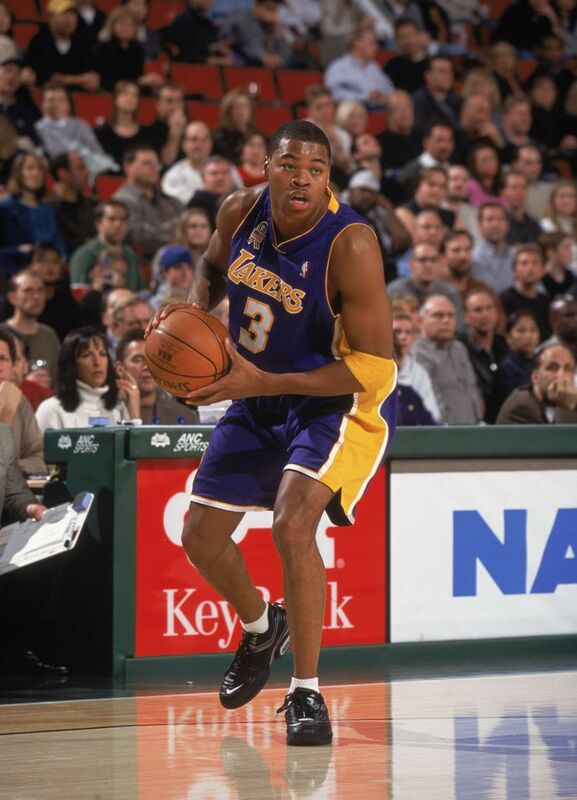 George’s first three seasons coincided with the Lakers three-peat from 2000 to 2002, and his role grew every season. The three-and-D wing averaged 18 minutes per game off the bench in the 2002 NBA Finals, scoring 11 points and grabbing six rebounds in the final game of his squad’s sweep of the New Jersey Nets.